You are going to Watch One Piece Episode 419 English dubbed online free episodes with HQ / high quality. Stream Anime One Piece Episode 419 Online English dub The Friends’ Whereabouts! An Island of Giant Birds and a Pink Paradise! 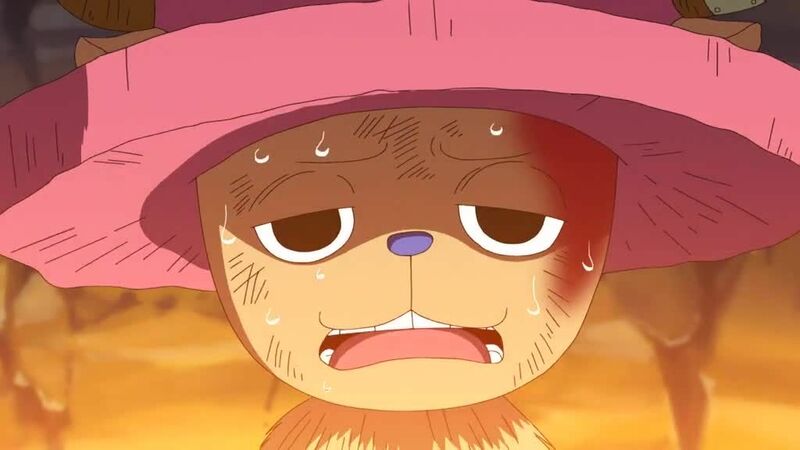 Chopper lands on an island known as Birdie Kingdom, and finds himself in the nest of two large birds who play with him before accidentally dropping him into the forest below. While searching for food to regain his strength, some residents of the island capture him. When they leave to shoo away the birds after an unsuccessful attempt at stealing their nest, Chopper escapes the pot and realizes that the birds rule the island. Sanji finds himself on Peachy Island, seemingly entirely populated by beautiful women, and someone named Elizabeth nurses him until he wakes up. He goes to Elizabeth’s house to return a handkerchief, only to find that Elizabeth is actually a male transvestite, and begins desperately running when the island’s residents attempt to get him to cross-dress.